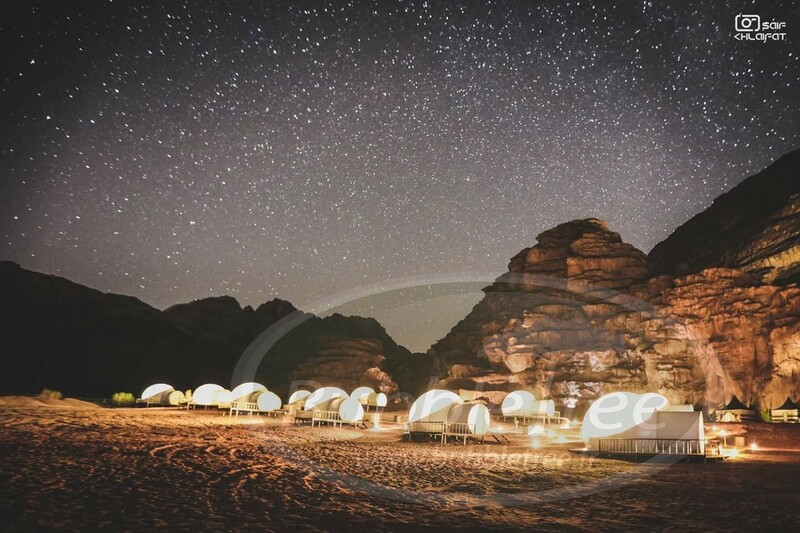 As in a fairy tale, dreamlike vehicles emerge amidst the scenic Jordan desert. 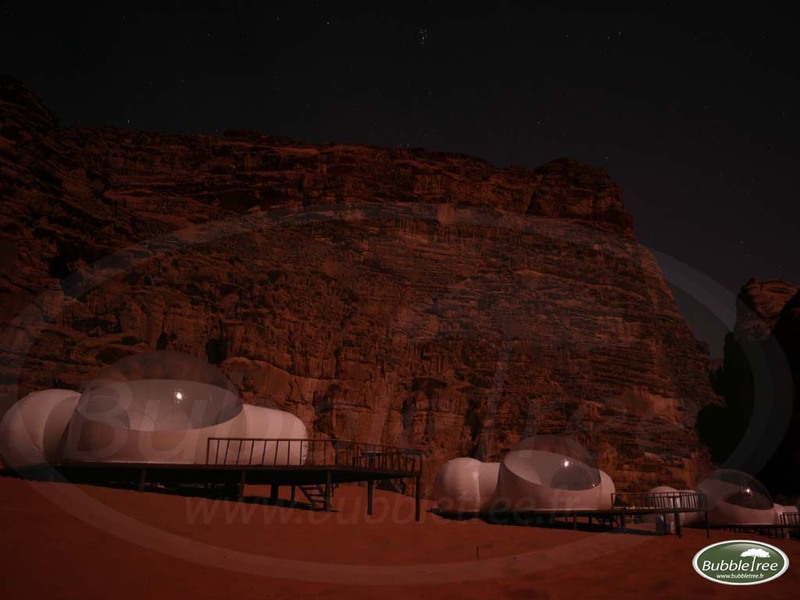 Its breathtaking ochre landscapes have served as a shooting stage for Lawrence of Arabia and The Martian… One hour from Petra, the Wadi Rum desert is classified as a UNESCO World Heritage site. 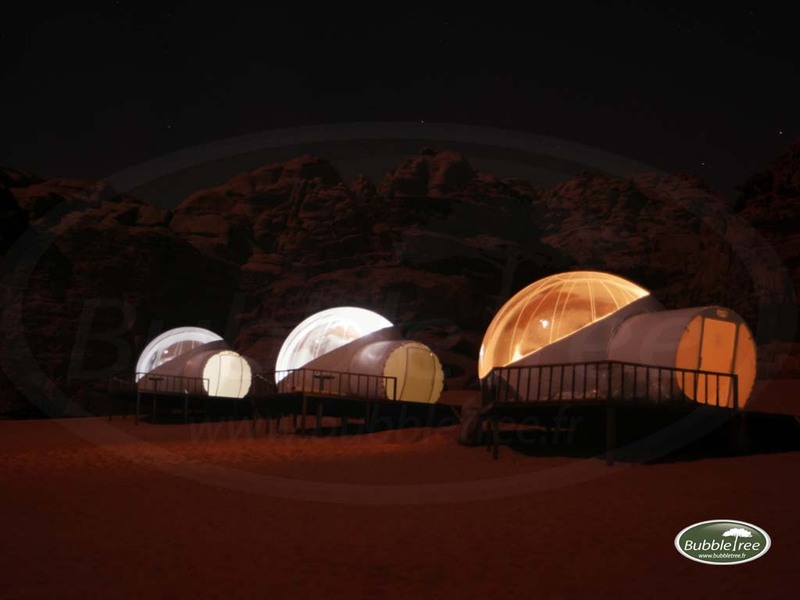 Today Wadi Rum hosts the Luxury Camp of BubbleTree accommodations offering a unique stargazing experience with the top comfort. 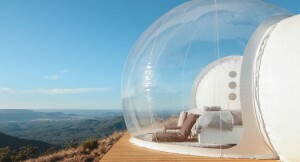 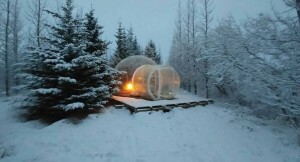 The concept developed by the French company BubbleTree is not just a tent open to the stunning sceneries, but an ecotourism temporary accommodation using very little material and power and benefiting from the natural resources to create a highly comfortable living space, as explains Pierre Stéphane Dumas, BubbleTree’s creator and CEO. 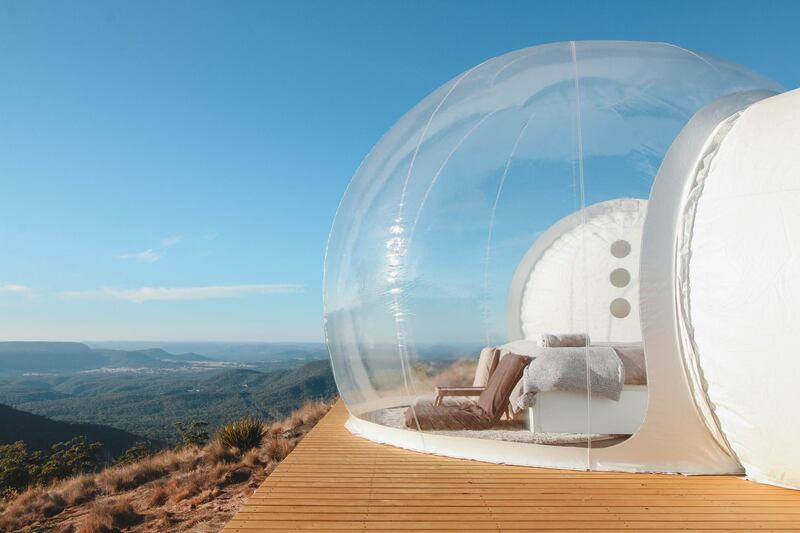 The BubbleTree design and technology protect guests from all the downsides of the magical experience of a night under the stars, like sand, dust or scorpions here in Jordan. 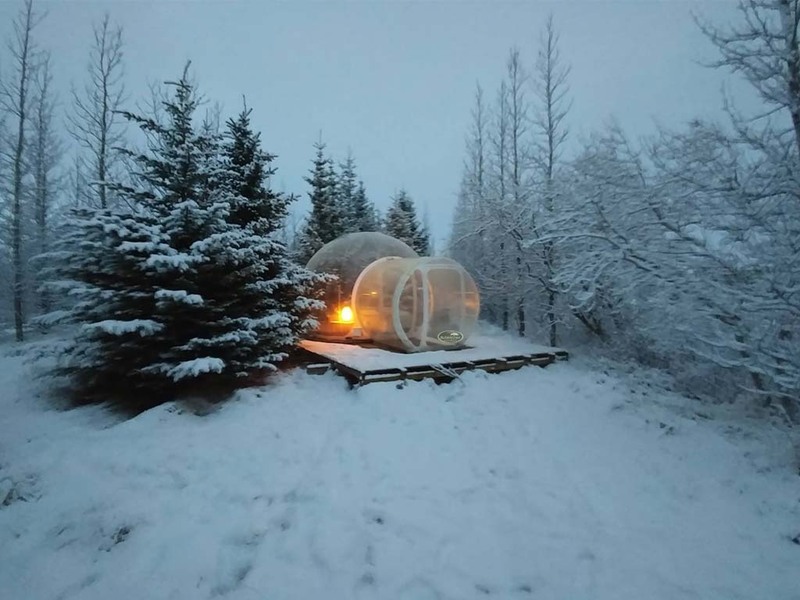 The special material of Bubbles coupled with the ingenious system of air circulation allow BubbleTree to cool down the air inside the accommodations by 4 – 5°C minimum compared to traditional tents of the desert. 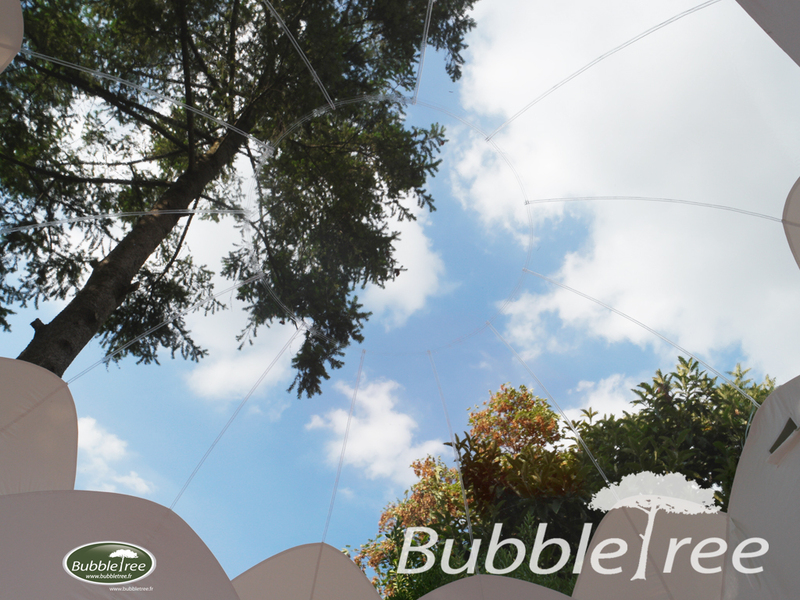 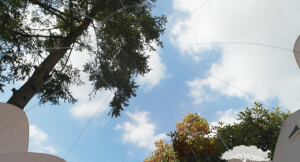 The BubbleTree concept offers the ultimate alternative to brick and concrete hospitality architecture, which loses its relevance for the sites in search for lighter temporary structures.